Syapse has built an easy-to-read, actionable interface for physicians within UCSF’s existing electronic medical records. 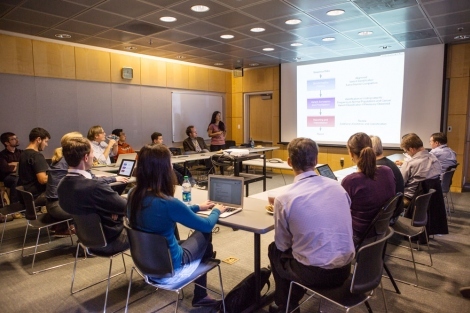 Because the Syapse system is cloud-based, on Amazon Web Services (AWS), physicians and members of the Molecular Tumor Board can query a patient’s test results in real time against the latest entries in UCSF’s knowledge-base, which is also drawn from public genetics, oncology and clinical trial databases, as well as the current scientific literature. AWS was selected for its robust security, support for compliance with medical information privacy laws, scalability and redundancy, Hirsch said. UC San Francisco has unveiled a new cloud-based software platform that significantly advances precision medicine for cancer. Built in partnership with Palo Alto-based company Syapse, the new platform seamlessly unites genomic testing and analysis, personalized treatment regimens, and clinical and outcomes data, crucially integrating all of these features directly into UCSF’s Electronic Medical Record (EMR) system. The project was a collaborative venture of UCSF’s Genomic Medicine Initiative (GMI) and the UCSF Helen Diller Family Comprehensive Cancer Center. 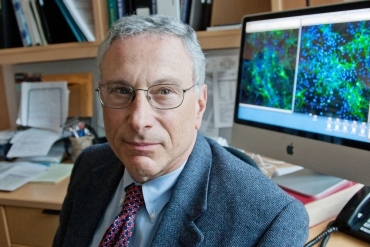 Beginning in the spring of 2015, UCSF oncologists will be able to use the new system to order the “UCSF 500,” a panel of more than 500 gene mutations that have been implicated in a range of cancers, with tools built directly into their adult and pediatric patients’ EMRs. When UCSF 500 test results are available, they will automatically appear in a Syapse-powered window in the EMR, and from there, physicians will be able to trigger consultation by a newly formed Molecular Tumor Board, which can recommend customized treatment plans for each patient. The Tumor Board’s recommendations are recorded in Syapse alongside the physician’s decisions, and the patient’s clinical course will be continuously tracked, with the resulting information, including clinical notes and summaries, displayed to the physician in an easy-to-understand graphical format in the EMR. 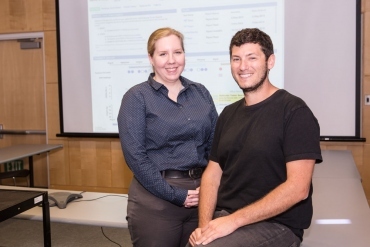 Because the Syapse system is cloud-based, implemented on Amazon Web Services (AWS), physicians and members of the Molecular Tumor Board can query a patient’s test results in real time against the latest entries in UCSF’s knowledge-base, which also draws from public genetics, oncology, and clinical trial databases, as well as the current scientific literature. Hirsch said AWS was selected for its robust security, support for medical privacy-law compliance, scalability, and stability. 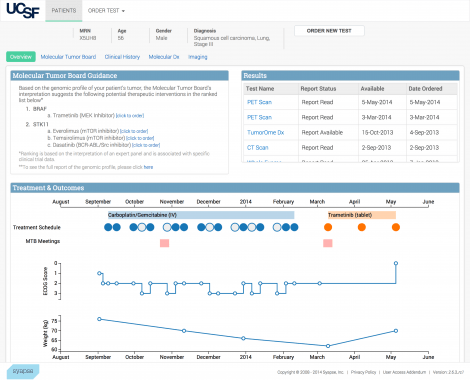 A de-identified version of each patient’s clinical history from APeX and information on how patients respond to treatments is simultaneously added to a dedicated clinical research knowledge-base within Syapse, so future recommendations of the Molecular Tumor Board for any patient’s case will always be informed by the latest clinical experience. Because APeX is based on Epic, a widely used EMR system, the new platform is easily scalable, and could easily capture clinical data from many medical centers in a consistent, easily accessible form, Hirsch said.